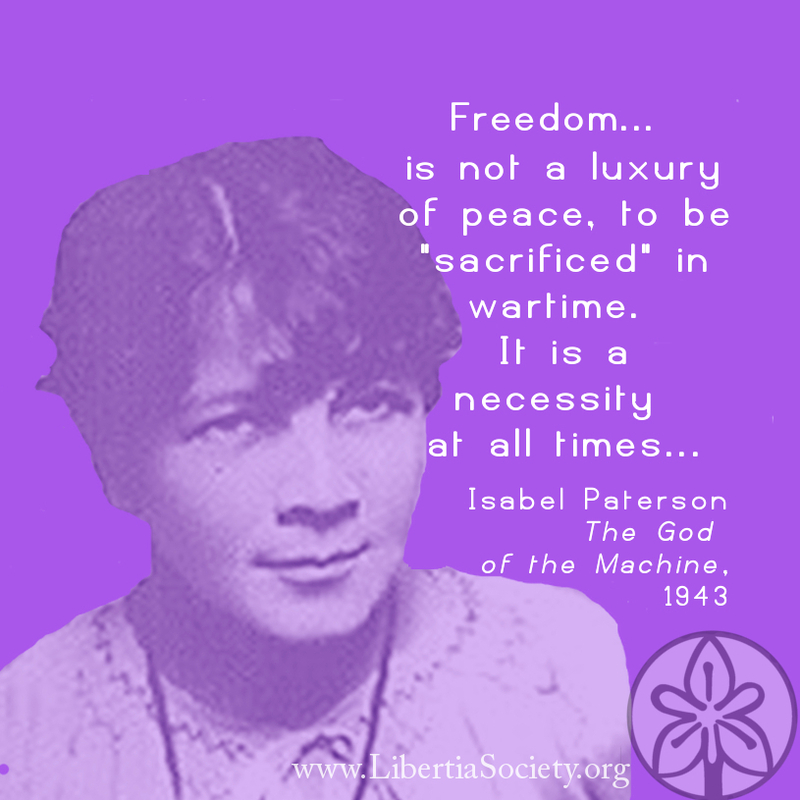 A Canadian-American who was a political theorist, a novelist and a columnist, Paterson and her works are probably the least well known of the early 20th century women libertarian trio which also includes Rose Wilder Lane and Ayn Rand. Her main non-fiction work, The God of the Machine, is a philosophical and theoretical exploration of the causes of societal flourishing throughout history. Her many novels, book reviews, and columns which were popular in her time are rarely read today. The God of the Machine. The clearest statement of Paterson’s philosophical and political beliefs, in this work she attempts to answer the question of why some societies thrive while others do not (hint: laws matter). One of the most well known chapters, “The Humanitarian with the Guillotine” is a good place to begin if you’re unsure about committing to the whole book. The Golden Vanity. A later novel of Paterson’s about the struggles faced by a mix of characters after the stock market crash of 1929 and the economic depression that followed. Paterson explores many of the same themes as Ayn Rand’s fictional work but from a different perspective. The Isabel Paterson Archives at the Herbert Hoover Library. If you’re feeling adventurous, you can take a trip to West Branch, IA where the Herbert Hoover Presidential Library Archives has boxes, and boxes, and more boxes of her columns, books reviews, novel fragments, drafts of published work, letters, and more. We’re working with them to make some of these available online but you may have to wait until Women’s History Month 2016 for that. The Woman and the Dynamo: Isabel Paterson and the Idea of America. If you’d like to read something about her in addition to things by her, we suggest Stephen Cox’s biography. Cox is also currently working on a compilation of many of her writings from the archives that should be available for purchase in the next year.